Audi, BMW and Mercedes-Benz lead other automakers in offering easy-to-use connected features, a study shows. However, more needs to be done to make customers aware the technology is on board because 39 percent of drivers are unaware of the connectivity options available to them, according to research from TNS and the BearingPoint Institute. "Our study shows that the German premium OEMs are so far leading the way in terms of the quality and use-ability of their features," Sarah-Jayne Williams, who is a partner at BearingPoint, said in a release. "To really exploit this new era [in connectivity], all OEMs need to invest to ensure customers are aware of and are enjoying these connected features." 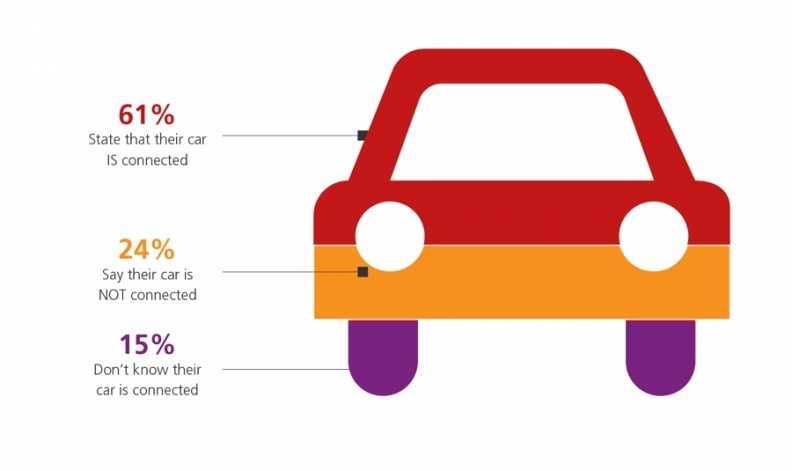 Nearly 40% of respondents to a recent survey who purchased a new or used car with connected-car features didn't know their cars were connected. The study highlighted the importance of training as 48 percent of drivers who use connected features said the technology was demonstrated to them in the showroom. The survey surmises that automakers that don’t do more to promote connected car features such as in-car entertainment, Internet-enabled navigation and warnings about potential hazards on the road ahead risk having customers choose Google and Apple for that. “Car manufacturers need to act fast if they are to avoid being overtaken by the big tech players,” Remy Pothet, who is global automotive sector head at TNS, said in the release. The survey results are based on responses from 3,724 connected car drivers from seven of Europe’s largest markets. Along with the German premium automakers, other brands surveyed included Volkswagen, Renault, Ford, Peugeot, Jaguar, Land Rover, Porsche and Volvo.